Keep your school zone safe or just spice it up for the kids, if you have a need for it, then we have the skills to do it. Let us come by and we can discuss anything from speed and warning markings to kid-friendly games like hop-scotch and checkers! Brimbank’s team can keep your students safe and entertained. 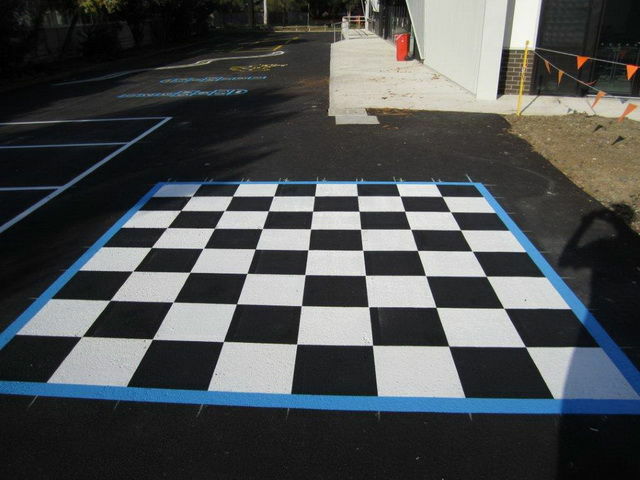 Committed to making playtime fun the skilled and experience line marking professionals at Brimbank can add colour and creativity to blank concrete, asphalt, and crumbled rubber surfaces. 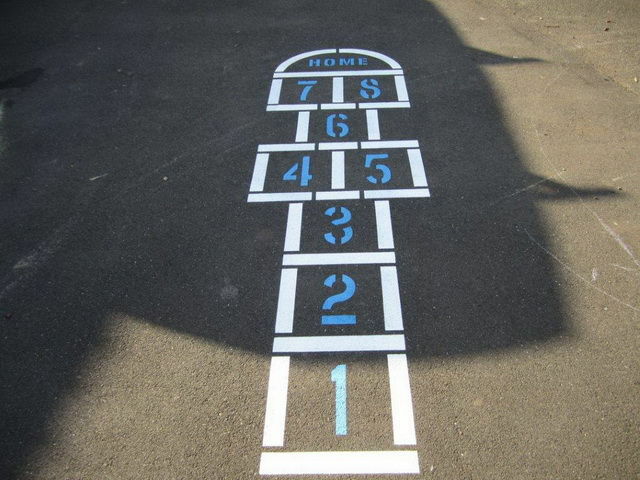 Available in a wide range of vibrant and fade-resistant colours our playground marking lives up to the daily use of hundreds of schoolchildren. With our school playground marking Melbourne primary and secondary schools can help their students make the most of their outdoor time. 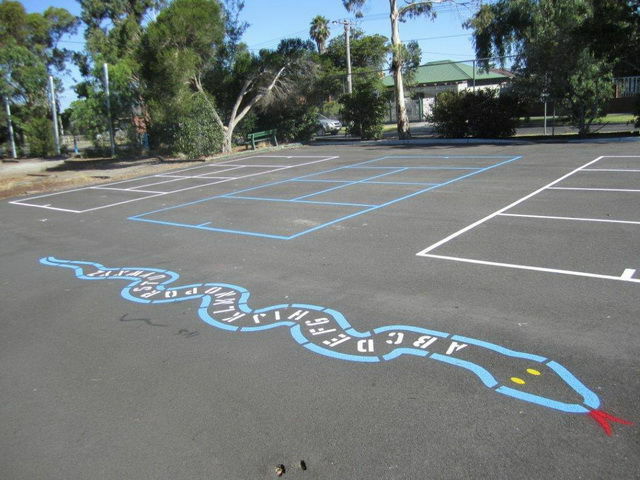 As well as direct line marking Brimbank Line Marking can also complete stencilling, epoxy resin paints, and even grinding works all to bring out the best in your school’s playground. Since starting operations over 15 years ago the family-owned business at Brimbank Line Marking has endeavoured to deliver the highest quality and standard of line marking in Melbourne. By professionally applying and drawing lines comprised of Dulux Roadmaster Paint, and resilient Thermo Plastic, we guarantee that our lines will survive application in outdoor and indoor environments with ease.